Our Colleague Donny, Director of Facilities and Maintenance, is in charge of keeping our lawn here at Campanelli, as well as at each of our homes, beautiful! He works with the right people to ensure our lawns are looking their best at all times. So, you could say, he’s an expert of sorts in the area. 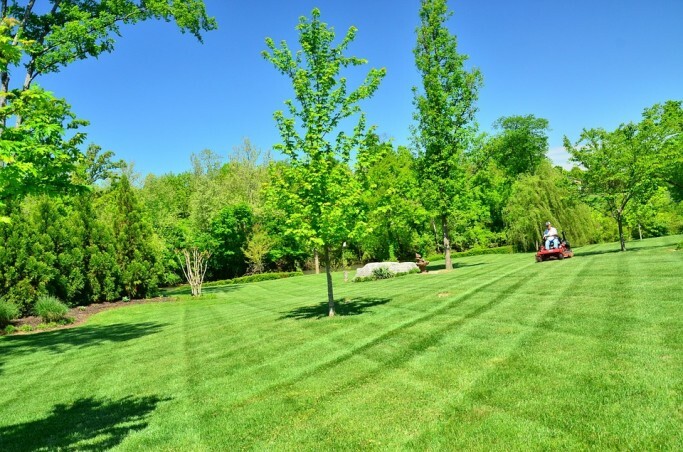 Below he shares his tips for keeping your lawn looking its best! 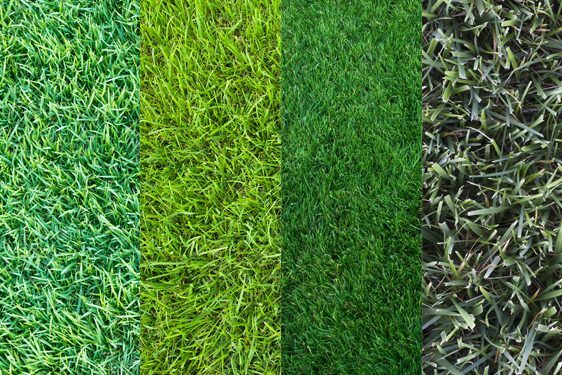 In your journey to develop the greenest grass in your neighborhood, you must begin by identifying what type of grass you have. There are two main grass types; cool season grass and warm season grass. And these grasses are not maintained the same way, which is why it’s so important to start by identifying the type of grass that is growing in your lawn! To determine how often you need to mow, you’ll first need to determine how you use or will use your lawn. If you plan to use it, say with kids playing in the backyard and such, then once a week mowing will be adequate. 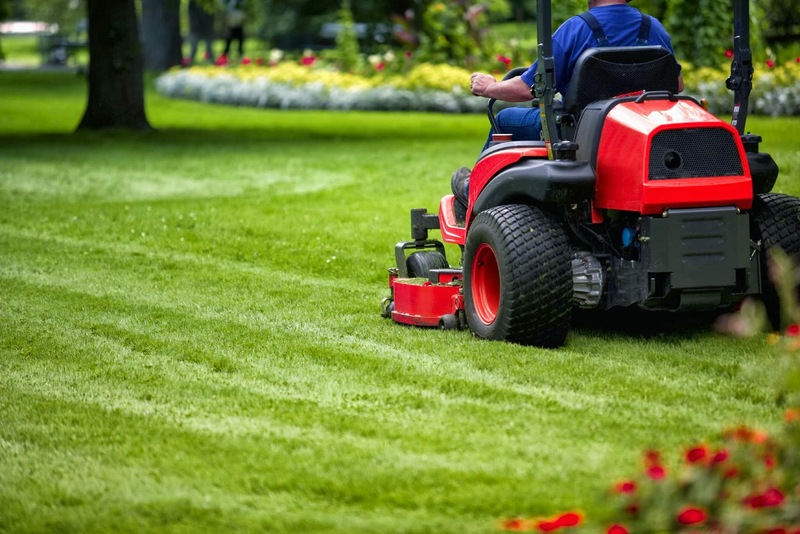 However, if its a lawn for looks or is seldom used, it may need to be mowed up to three times each week. When mowing, leave your mower at the highest setting, trimming your grass, but leaving it taller. Taller grass shades the ground, which blocks weed sprouts and promotes beneficial microbes. Leaving the grass tall also allows your lawn to focus on root growth, which adds disease resistance. And here’s the final key…leave the grass clippings on the lawn after mowing to return the nutrients to your lawn. Dull blades are a big problem. They tear grass instead of cutting it. And according to Cornell University’s Gardening Program, lawns mowed with dull blades use 30 percent more water. Plus the wounds created by dull blades allow disease pathogens to enter grass plants. File your blade regularly, and replace damaged blades. 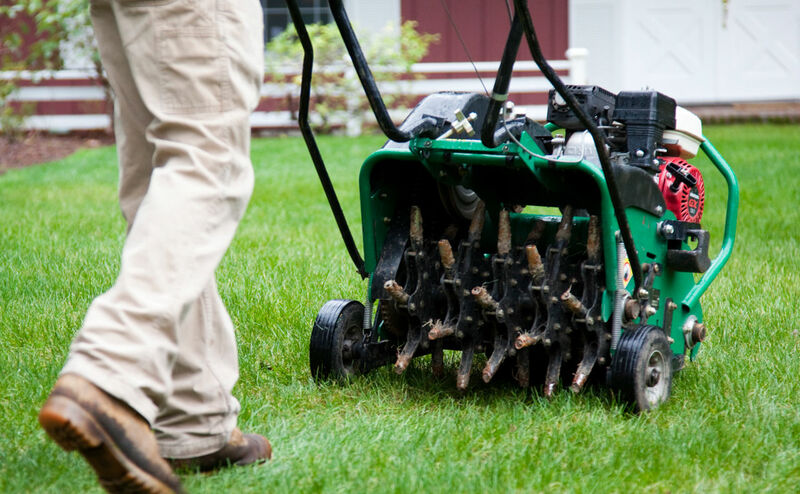 Aeration is good for all lawns, but if you have a well-used lawn, you definitely need to aerate. This relieves compaction and allows water and nutrients to penetrate into the soil. The best time for aeration is during the growing season, when the grass can heal and fill in any open areas after soil plugs are removed. Ideally, aerate the lawn with cool season grass in the early spring or fall and those with warm season grass in the late spring. This seems like a no-brainer, but it’s all about when you do it. Water occasionally, like twice per week. Frequent watering causes shallow roots which sets your lawn up for trouble down the road. Watering less frequently helps develop deeper roots which keeps your lawn healthy and lush. 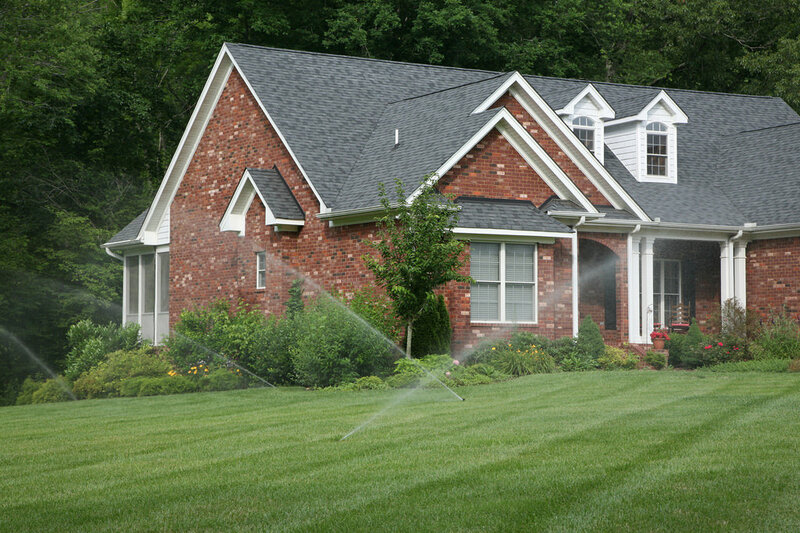 And, of course, water your lawn more frequently during periods of heat and drought. You’ll want to water in the morning when possible, giving your lawn the whole day to dry. If the morning, before 10 a.m., won’t work, you can shoot for the period right when you get home from work. But don’t water at night, it leads to mildew and fungus development. 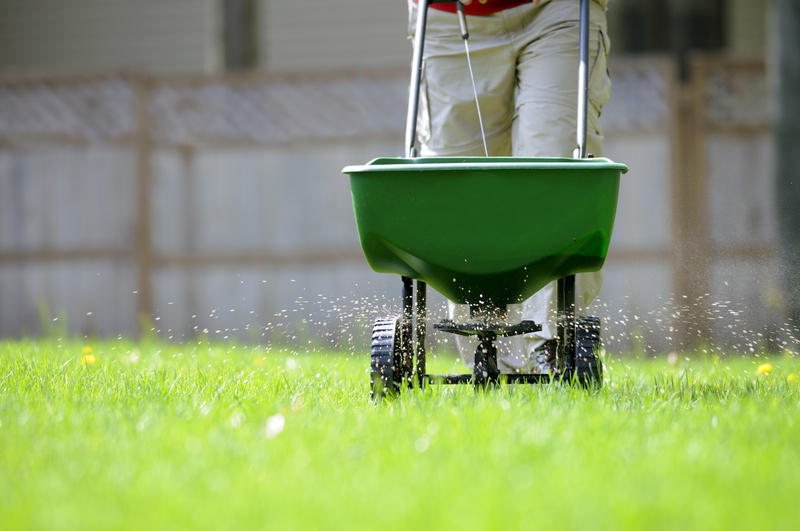 Apply turf fertilizer periodically throughout the year, following the manufacturer’s instructions. To find the right fertilizer for you, take a look at the three numbers on the fertilizer bag which tell you the percentage of nitrogen, phosphorus, and potassium, in that order. Avoid numbers higher than 10, since these can easily burn your lawn. Organic fertilizers are better than synthetic fertilizers, since they improve soil health as well. If you want the perfect lawn, you may fertilize three or four times per growing season. But beware, it’s easy to burn your lawn or cause excessive quick growth with this strategy. There you have it, our tips for growing your greenest, most beautiful lawn possible! Share any additional tips below. Thank you for sharing, Jimmy. We’re so happy to hear our information has been useful for you! It’s good to know that organic fertilizers are better than synthetic ones since they benefit the soil in addition to your turf. My lawn isn’t growing as well as I’d like, and I suspect it may need a good fertilizer to kickstart it’s growth. I wouldn’t mind sticking to organic fertilizer if it provides me better results over time. This is a fantastic information is published on a page with the great tips and tricks for the lawn of a garden ,If you want to start proper care of grass in a garden , then best option for you to remember all the instructions are mentioned in the post for the removing of root disease in a garden and also provide a medicine of root disease with a mixing of water on a grass in a garden ,which is helpful for removing this kind of disease easily in a very short interval of time and increase the beauty of a garden . Thank you for the tips on how to maintain your lawn, they were very helpful. I had no idea that different types of grasses were maintained so differently, I thought they were all the same. My brother just had some sod put in and he wants to make sure he takes care of it properly, I will be sure to share these tips with him. Wow! I really loved your advice about figuring out what type of grass you have. I never would have known that you had to take care of the two types differently. I will be sure to figure this out soon so that we can maintain our lawn better. Maybe we’ll hire someone to take care of it for a while until we get the hang of it. My fiance and I just moved into a new home and we want to make sure that our lawn is healthy. We are open to ideas to make sure that we are taking good care of it. Checking the bag’s nitrogen levels is a great place to start for choosing fertilization. Thanks for suggesting that we can fertilize three or four times per growing season if we’re aiming for the perfect lawn. My husband and I recently moved to a new home, and I’d love to get the lawn in perfect, lush condition. I’ll definitely follow your advice and fertilize the lawn four times this growing season! I wasn’t aware that there were different types of grass. Thank you for pointing out that to get the best lawn you need to know what type of grass you have. I don’t have much time to take care of my yard but still, want a gorgeous lawn. I’ll have to look into finding the best lawn maintenance in my area. Thank you for mentioning that leaving the grass tall will allow them to focus on root growth and make it more resistant to getting diseases. If so, then I will make sure that I leave the grass in an adequate length. The only problem is that I do not know exactly what an adequate length is. It might be best to call a professional to help me out so that the right actions are taken. My lawn dried up back then, and I do not want that to happen again. I want to make sure that I take good care of my lawn. It makes sense that getting a professional to handle it would be a good idea! They would know what to do to avoid cutting the grass too short. My brother used to mow our lawn when I was growing up, but my dad was the one that always had to deal with lawnmower upkeep and repairs. 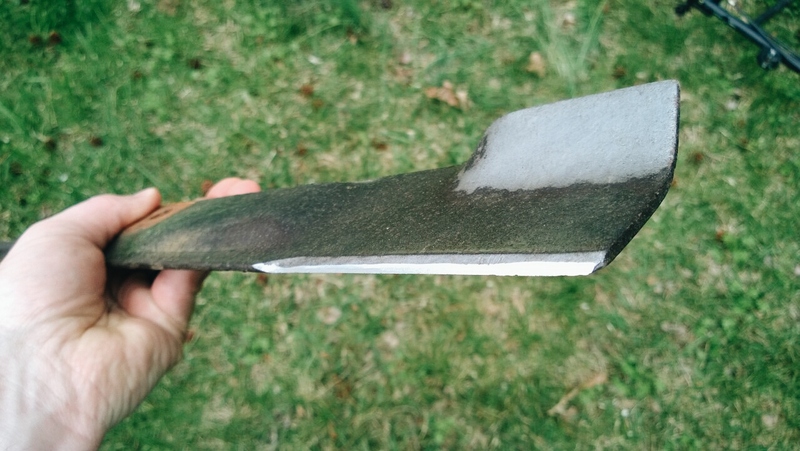 I never knew that dull blades on a lawnmower can be such a problem! I am planning on buying a house soon, and I will be sure to remember this when taking care of my lawn. Thanks for mentioning that I have to identify my grass type before I do anything else with it. Since the grass will need to be aerated each fall, I’ll hire a landscaping company to do that for me. I think I’ll hire them to fertilize the grass as well so that they will grow beautifully on my lawn. Thanks for helping me understand that the best time to aerate the lawn is during the growing season to effectively heal the grass. I guess this just shows how little I know with lawn maintenance since I don’t even know when is the healing season. With that in mind, I will hire a professional since the grass in our backyard has been having brown patches which confuse us because we have been watered properly by our sprinkler system.